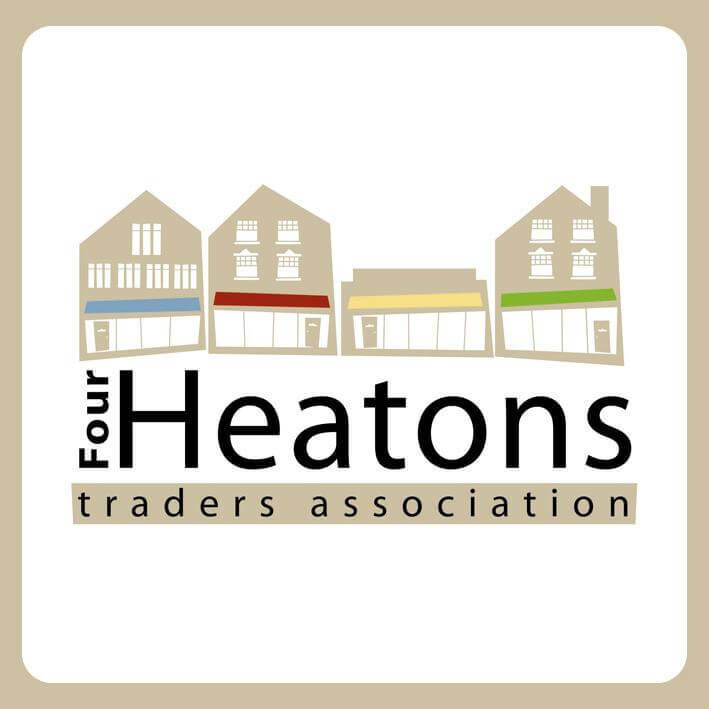 The Four Heatons Traders Association have a vision of making The Heatons Plastic Free. 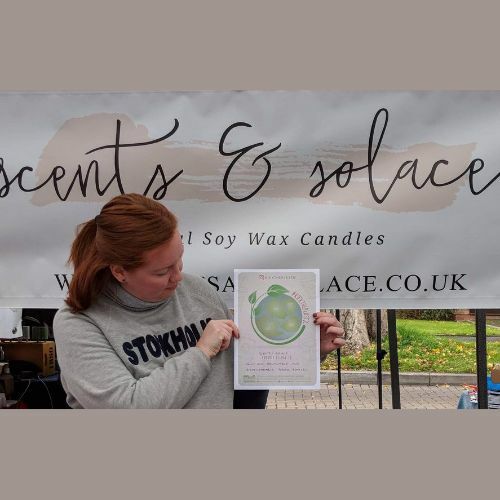 We are working with our members and other environmentally focused organisations to pioneer ways to reduce the amount of plastic consumed in SK4. We are living in a world that is gradually being drowned in plastic waste. 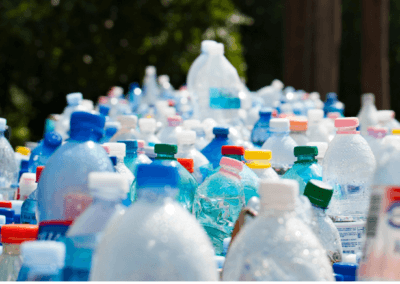 While this may appear of greater concern around coastal areas, or even in countries on the other side of the world; we all need to be more aware of the issues of plastic, and not simply to recycle but to stop using plastics altogether. 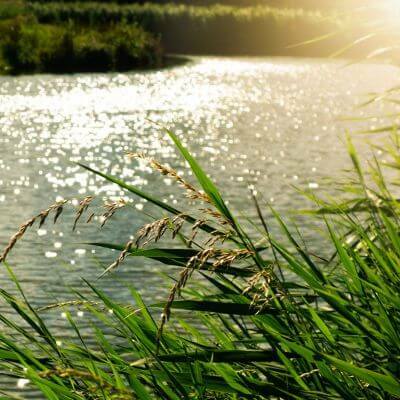 Like many communities throughout the UK, the Heatons has a river where plastic pollution becomes trapped and eventually feeds into a larger river system that find their way out to the sea. 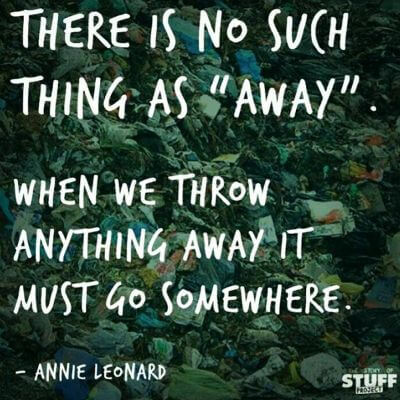 But, as well as this, many plastics are simply not being recycled by local authorities and so end up in landfill. Both of these have major implications for our natural environment, marine and human health. 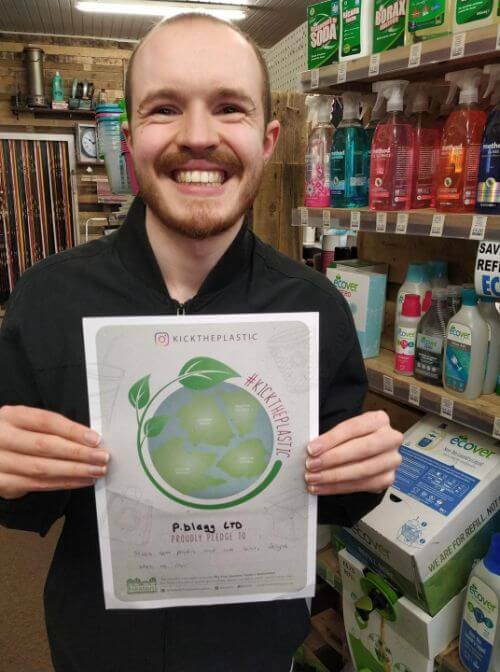 It is our aim to make a change – to work towards a Heatons free of plastics, beginning with our local businesses. 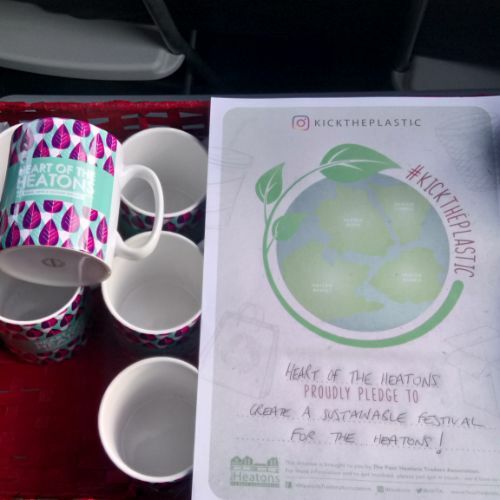 The ‘Kick the Plastic’ campaign aims to encourage local businesses to make a pledge to replace single-use plastics with sustainable alternatives, such as compostable/re-usable bags, straws, take-away cups etc. 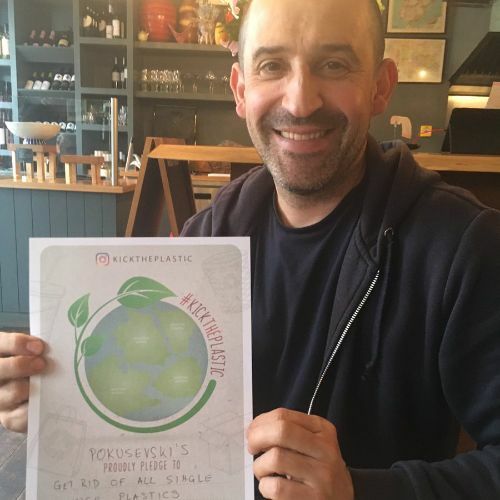 We have received tremendous support for this campaign from business owners and all those making a pledge to ‘Kick the Plastic’ are featured on this page. 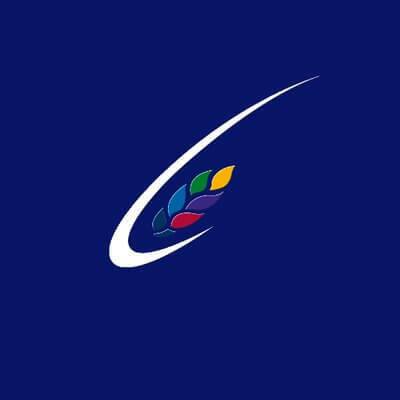 But, we are not limiting this to businesses alone – we aim to widen the campaign to include the local community and schools throughout the Heatons. 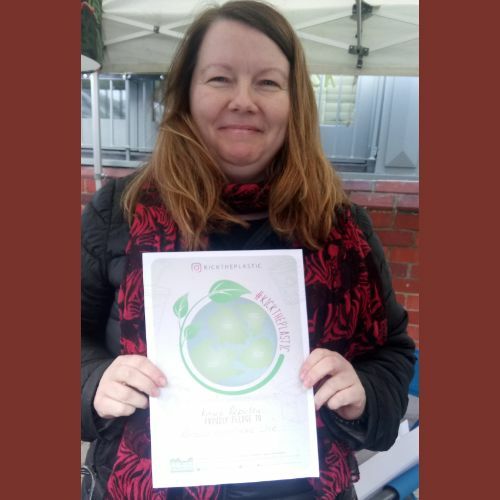 We are also working with other community groups, including the Heatons WI and Sustainable Living in the Heatons, to tackle plastic pollution. 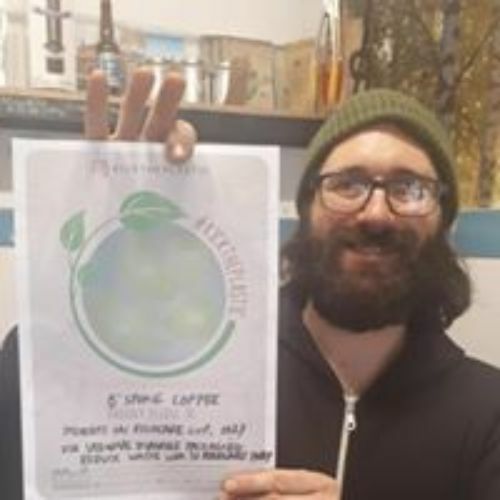 As a result of these collaborative efforts, the Heatons has been registered with Surfers Against Sewage as part of their Plastic-Free Community Scheme. Together, we are working toward gaining achieving official Plastic Free status for the Heatons. 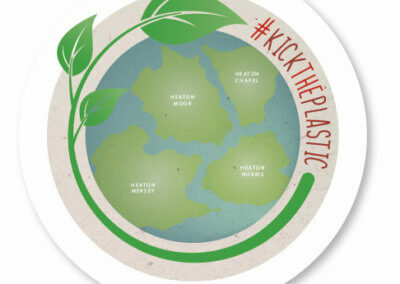 I fully support the #KickThePlastic initiative – it is a super example of community action encouraging positive change. 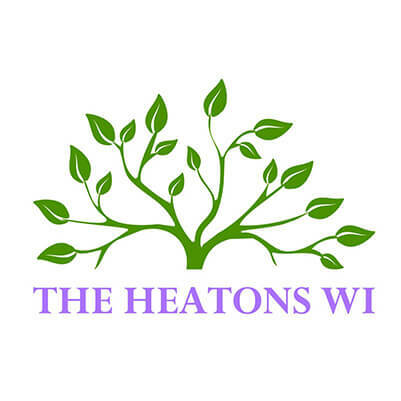 I was especially impressed with the collaboration between the Heatons Traders Associations and the Heatons WI and their collective desire to have an impact. We should all be proactive as consumer pressure really is driving change. 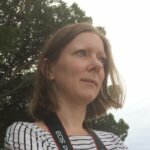 Write to companies who use non-recyclable packaging. Ask them to consider using alternative materials. Talk to the manager of your local store. Apply pressure at all levels. Change your own behaviour at home too and think through how you can reduce your use of single-use plastics. 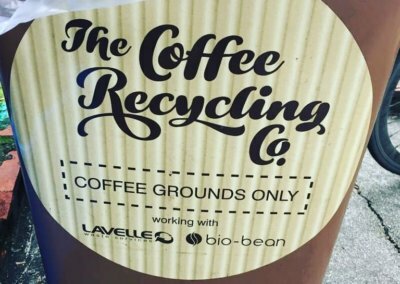 We’re starting the Kick The Plastic project with a focus on local businesses, beginning with our own members. We’re asking our members to pledge their support for this initiative in a highly practical way. 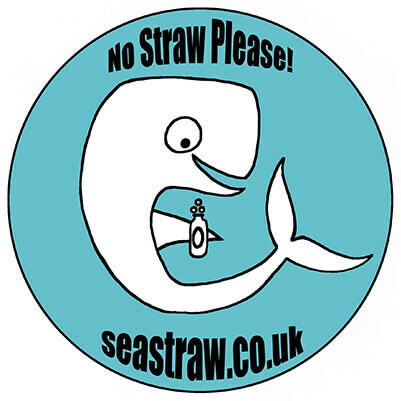 We would like you to make a pledge to reduce the use of single use plastics in your business. 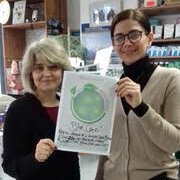 Let us know what the pledge is and we’ll give you a poster for you to display your pledge to your customers. As the saying goes, every little helps! 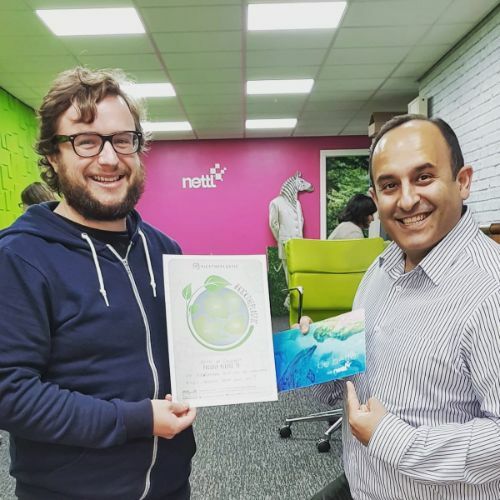 Your pledge doesn’t have to be onerous – in fact it’s possible that the right pledge could even save your business some money! 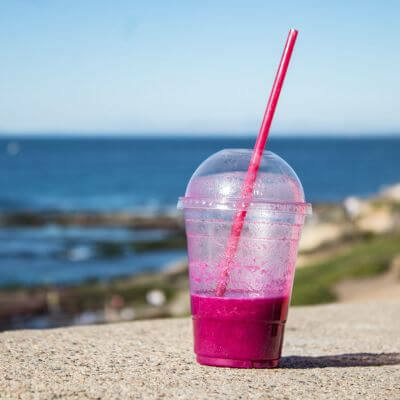 Maybe you could switch to paper straws instead of plastic ones, or switch from polythene bags to paper bags. 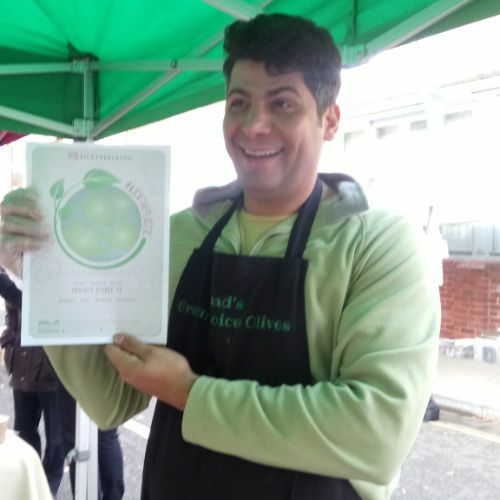 We firmly believe every business can make a small pledge that collectively will have a big impact. 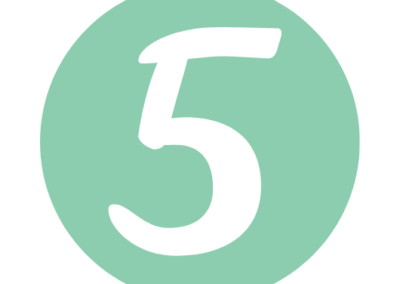 So make your pledge, and drop us a message to admin@fourheatons.co.uk and we’ll get you a poster and let everyone know how you’re helping on this website and on Social Media. SLH have been actively working on projects over the past few years aimed at making the Heatons a more sustainable area. 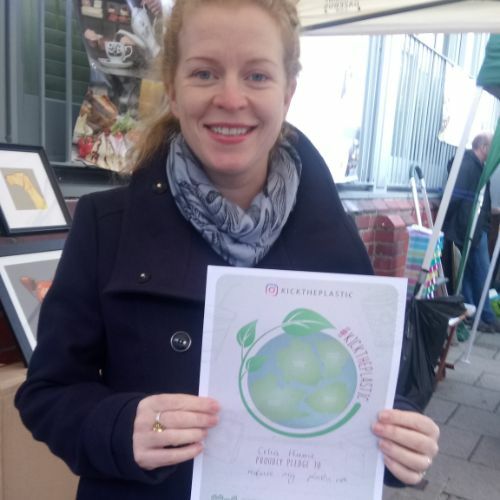 Reducing plastics and tackling plastic waste ties in with these aims and the group are working with us to spread the plastic-free message and help the Heatons achieve plastic-free status. 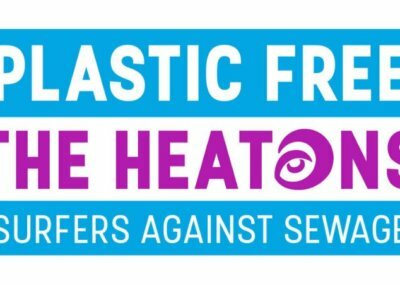 The Heatons WI are running a nationwide campaign – End Plastic Soup – aimed at raising awareness of microplastic fibres which end up in the sea & wider environment via washing machines and sewage systems. 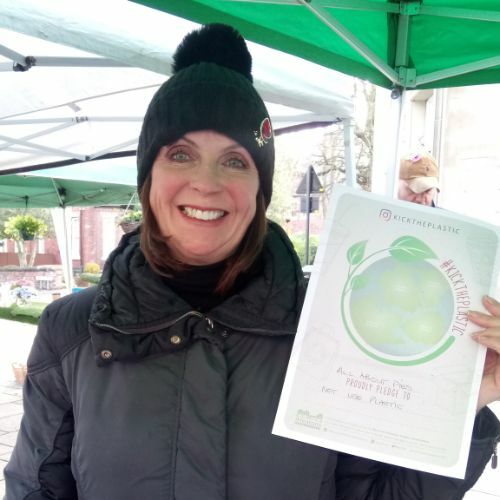 The Heatons branch of the WI are working with us as part of the Plastic-Free Community campaign. 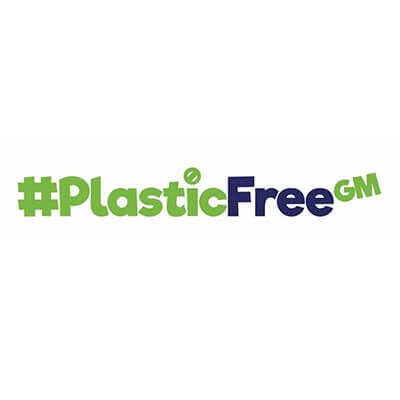 The 4HTA has signed the Plastic Free GM pledge to support our local businesses in reducing & getting rid of single-use plastics. 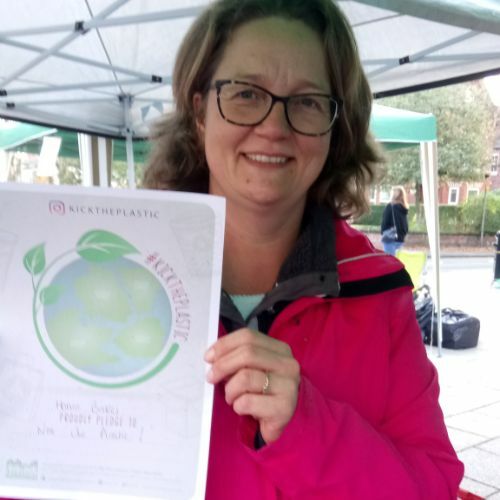 Local businesses, orgainstaions, local authorities and individuals can all sign the online pledge to help make Greater Manchester Plastic Free. 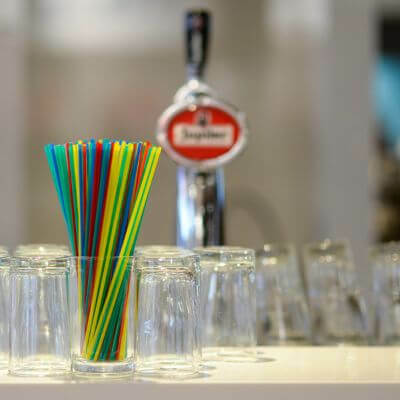 Manchester-based organisation working to reduce plastic pollution caused by businesses throughout the UK and encouraging them to give up plastic straws and other single-use plastics. Sign their pledge and become an Ocean Hero! 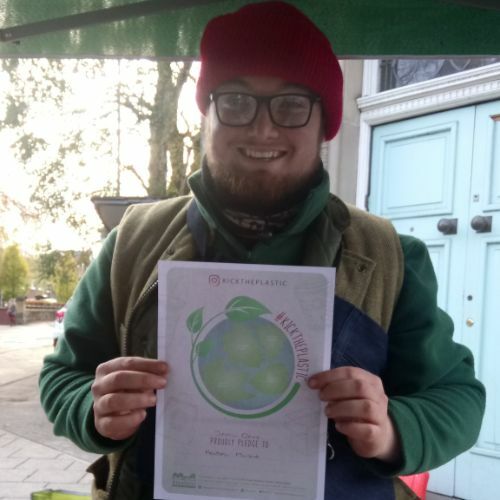 The students at Priestnall School are passionate about reducing plastics within their school. The student-led Eco-Council are working to reduce the sale of drinks in plastic bottles through the school cafeteria and a re-usable drinks bottle has recently been launched featuring our #KickThePlastic campaign. 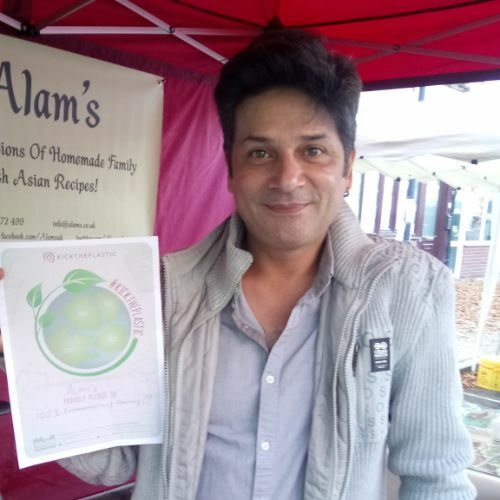 Look who has already taken the pledge!